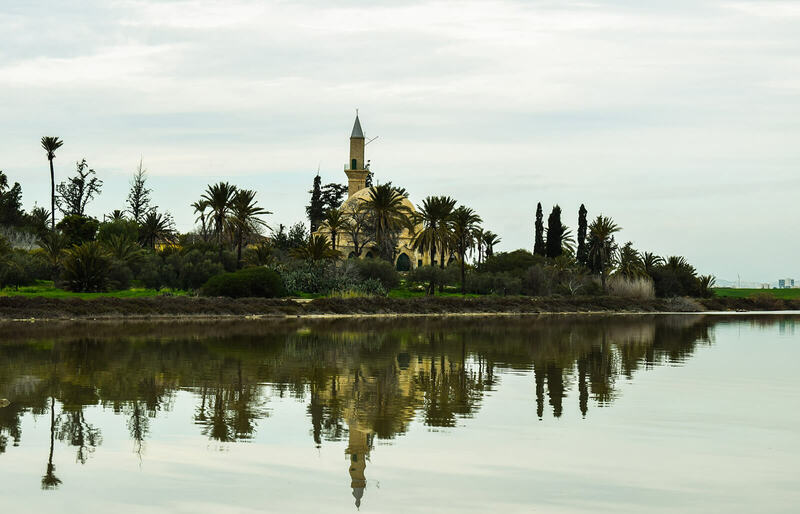 If you are booking a trip to Cyprus, be sure to visit the important holy place Hala Sultan Tekke. 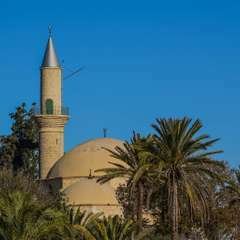 This Muslim pilgrimage site is an interesting stop that should be added to a visitor’s itinerary. As the area has been inhabited since Neolithic times, the history of this mosque is intriguing. 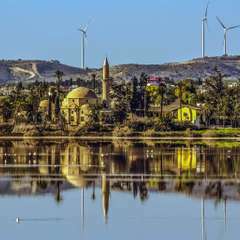 The site also provides a glimpse at a different style of architecture than other areas in Cyprus, giving you another reason to visit. Season: Open year-round except for Public Holidays. 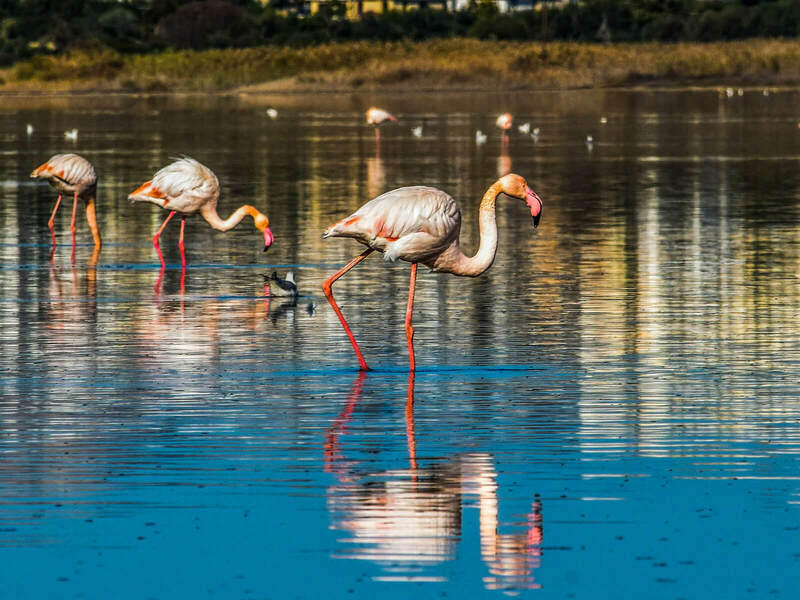 Location: Larnaca, Cyprus. Along the shore of the salt lake. Archaelogical Record: 648 AD. Mosque constructed from 1787-1816. Site Significance: Final resting place of follower of the Propet Muhammed. The evolution of what has been on the site include a bustling urban center and a cemetery, in addition to the current mosque that is on the grounds. 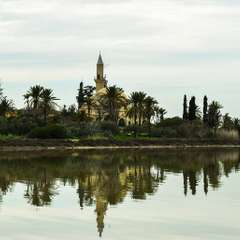 The Mosque is surrounded by a grove of cypress and palm trees along with the Larnaca salt lake. Evidence of buildings on the site date back as far as to between the 6th and 1st centuries BCE. This makes the site of significant historical importance. The mosque is an important religious site, as it is the spot where Umm Haram is believed to have died. The rediscovery of her burial place is believed to have triggered the mosque to be built as a shrine many years later. Umm Haram’s importance comes from the fact that she was the wife of a close follower of the Prophet Muhammed. It is believed that her death occurred during the first Arab raids on Cyprus around 648 AD. The buildings on the site were developed slowly over the centuries, and this in itself is exciting to see how the site evolved over time. 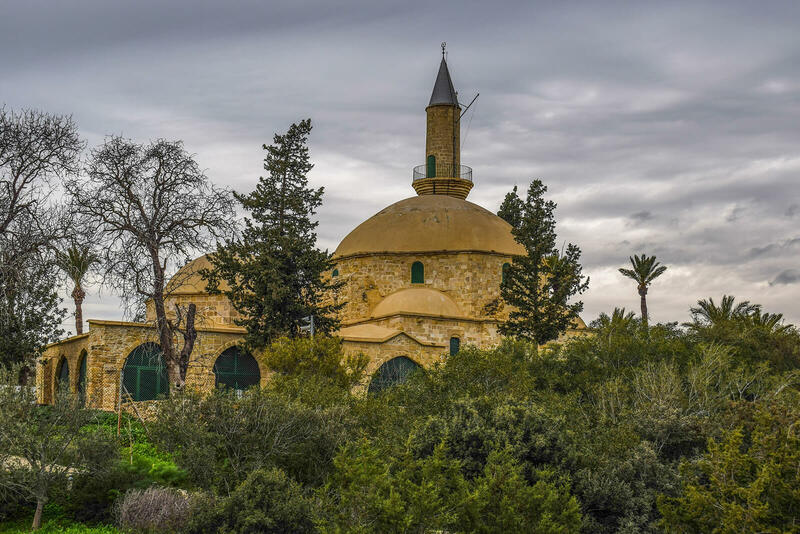 The Hala Sultan Tekke mosque is not the only building on site, and the location also includes a cemetery, minaret, mausoleum, and living quarters. 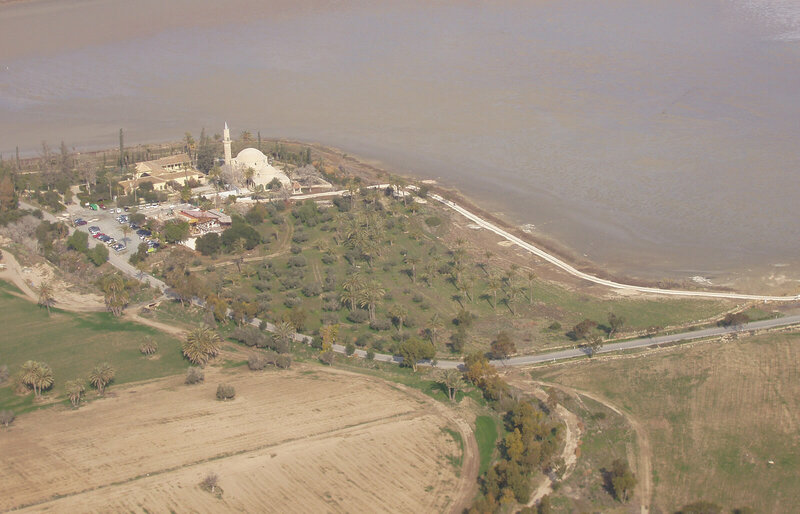 There is also a peaceful grove of cypress and palm trees next to the shrine which provides views of the Larnaka salt lake. The Grove hosts Larnaca Municipality cultural events from time to time. While it is a holy site for those of the Muslim faith, the complex today is open to all and visitors of any religion or denomination are welcome. The mosque is open year round except for a few holidays, and entrance to the site is free. 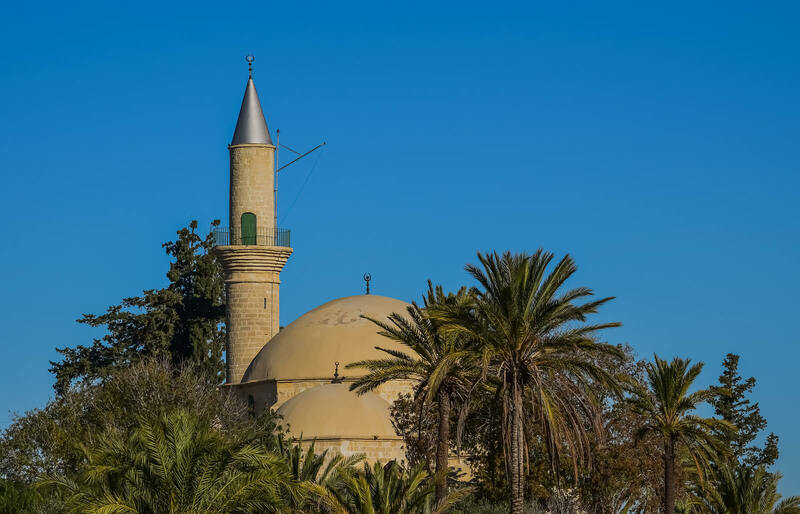 Visitors can learn much about Cyprus’ history visiting the mosque and gardens, and it is worth a trip to see this beautiful site. 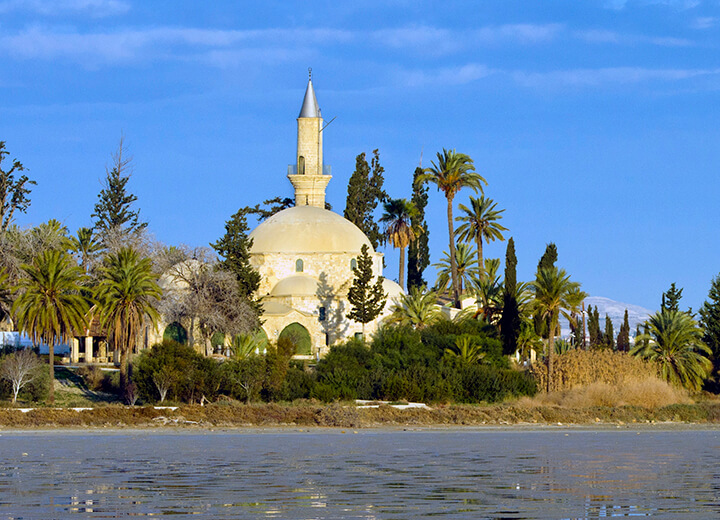 Located in the Salt Lake Region of Larnaka (Larnaca), the mosque is nestled in a picturesque setting. 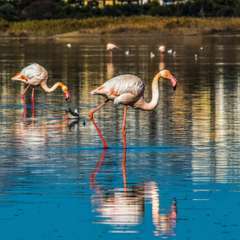 The site itself includes a stunning garden with views overlooking the salt lakes. Surrounding the area are vistas of mountains and rolling hills. The beauty alone would be enough to draw visitors in, and this is an added boon to the historical and religious interests at the site. 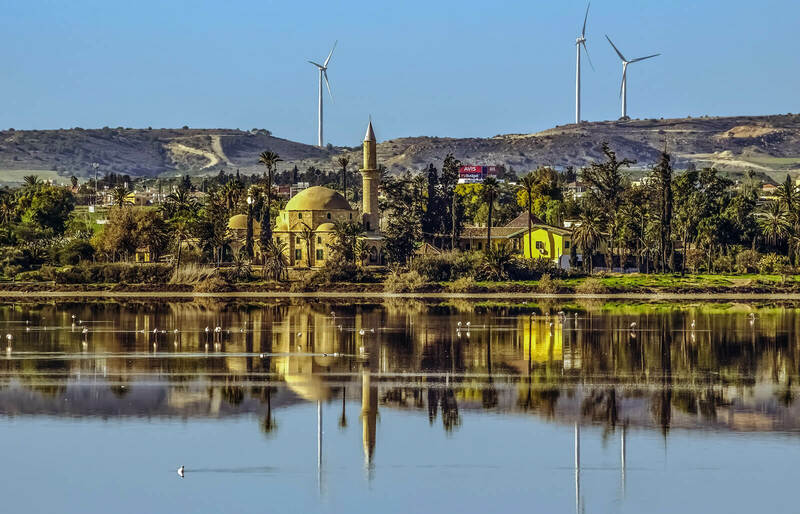 There are so many things to see and do in this region, that visiting the mosque opens a traveler’s itinerary to a plethora of regional sites that are not found anywhere else. 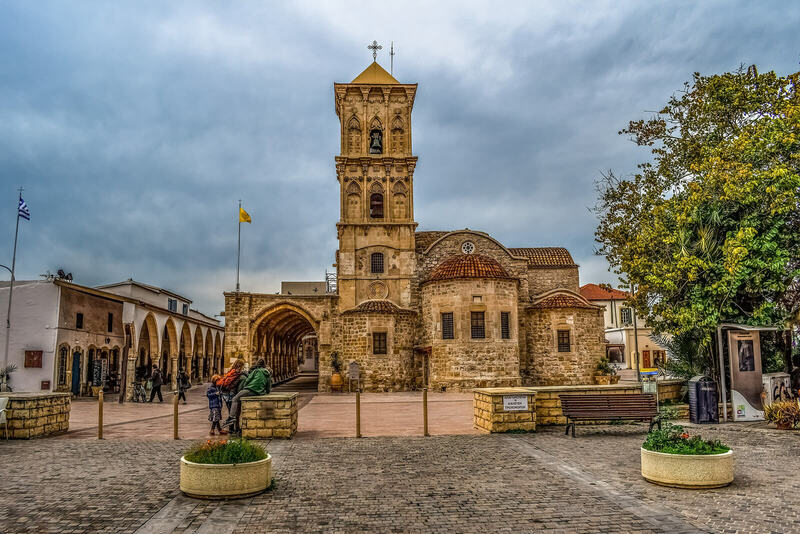 Taking a walk through Old Larnaka, one can sense the vibrancy and feel of the city that would have existed as the mosque was created, with the smells of local cuisine lingering on the air while people bustle to and fro along the old city streets. 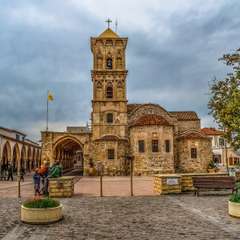 An important historical and religious site, one should consider adding it to the list of places to visit while in Cyprus. The beauty of the area continues to draw visitors in, as well as all the history that surrounds the site and the lore of the mosque. The location is not solely limited to visitors of the Muslim faith, and anyone of any religion should consider a visit to this site.